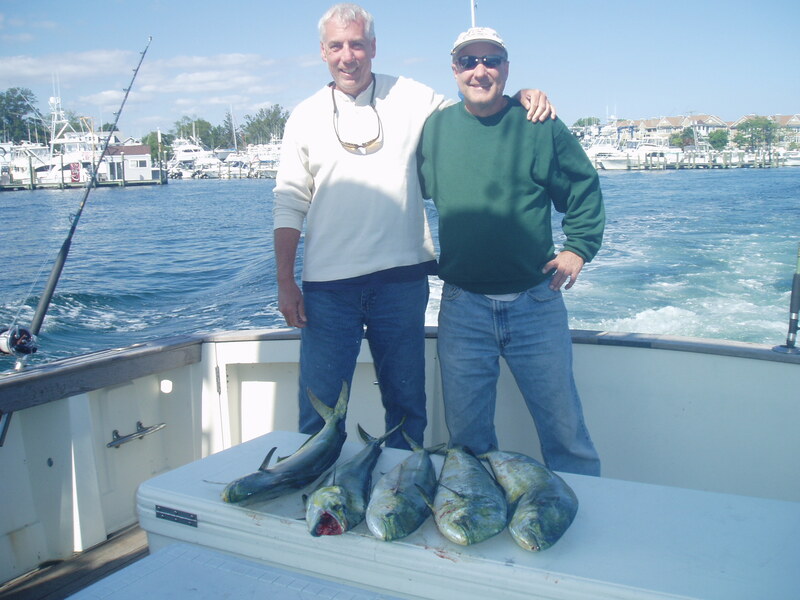 On September 14 we hosted John Yedloushnig and friend for an overnighter and fishing was very slow with only Mahi hitting the deck. We could not troll effectively in the weeds that covered the entire canyon and the tuna were not biting at night. We had beautiful weather but did not have one tuna bite. We were very disappointed because the previous nights reports said the bite was good although the seas were very rough. Kudos to John and his friend for their attitude and perseverance. John wants to go on an open boat trip in October. 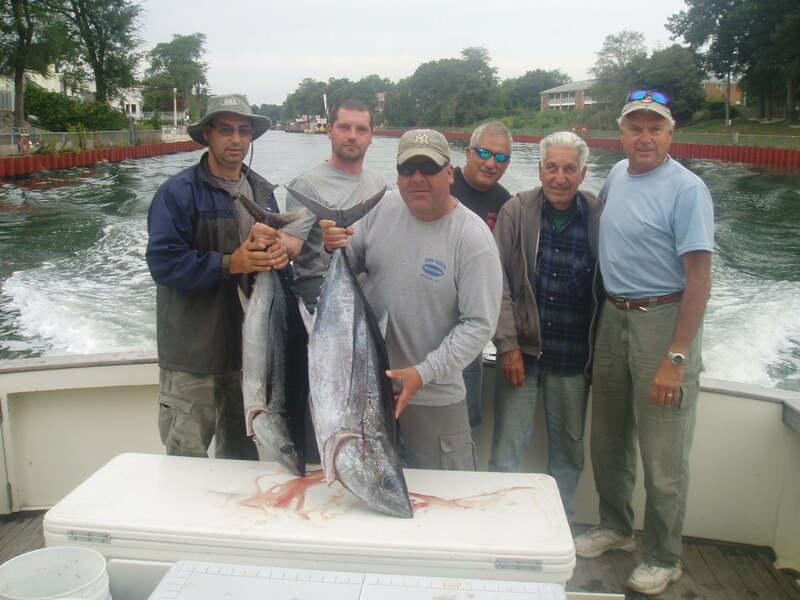 On September 29 we hosted Ira Kornblut and friends for an overnighter and Fishing was still slow but we did have a few tuna bites. Weeds were still prevalent making trolling tough on the mate constantly clearing lines, We decided to start chunking early at 4 pm and in a short time we had a hookup with a decent fish that turned out to be a 50 plus lb Longfin. We had a couple other runoffs that did not come tight and then Ira fought and landed another Longfin, During this time the screen was constantly lit up with marks from 70 to 125 ft but we only had the few bites. We decided to move from the deep onto the bank after dark and we encountered the same lit up screen but no bites. In addition to bait we tried jigging to no avail. Our experience was echoed by the other 50 plus boats in the area, Even the party boats complained that they were on fish but they would not bite. This September has been very unusual with high winds, a lack of yellowfins and generally slow and sporadic tuna fishing. I’m hoping things change in October.